One of the problems most comic writers face - especially when dealing with a character as powerful as the Hulk - is coming up with a worthy opponent. The typical solution is to come up with a character who is either incredibly smart (the Leader), equally powerful (the Abomination) or pure evil (that's a long list). 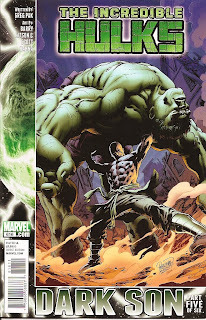 In pitting the Hulk and his growing family against his second son, Hiro-Kala, writer Greg Pak has managed to create a character who is all three. He's smart, as demonstrated in this confrontation as he constantly stays one step ahead of the "good guys." He's powerful, as shown by his ability to use the "old power" to move a planet and threaten the Earth with destruction. And he's possibly the most evil character in Marvel's history, since he's already killed billions - and is about to kill billions more. So how does Hiro-Kala's father stop him without killing him? And is either choice even possible? It's a great challenge and a smart script, as this story hurtles toward its conclusion next issue. Kudos to Barry Kitson and Scott Hanna for outstanding artwork here. 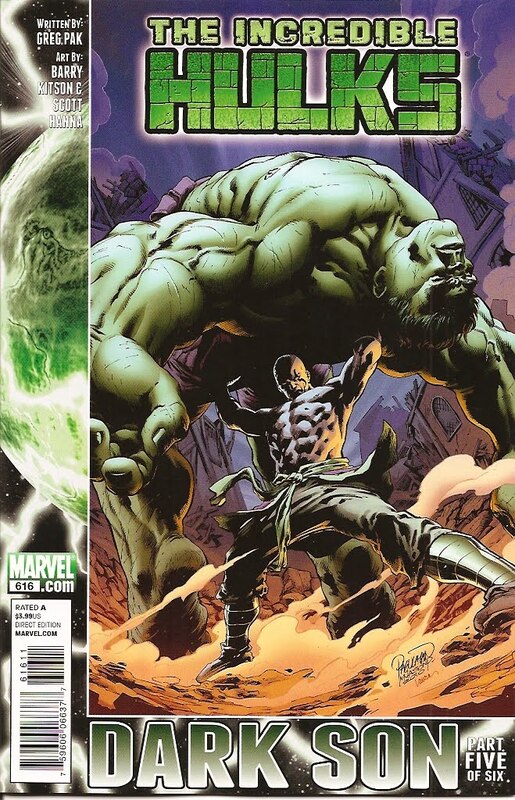 There's a lot going on as different Hulk "teams" face different obstacles, but the art keeps it all clear and easy to follow, and the action scenes crackle with energy. So there's one issue to go, and it's tough to see how the creative team is going to wrap this up in a single issue. But I'm anxious to see 'em try!